William Shakespeare is responsible for many quotes - How could the greatest playwright in history not be - And this quote sticker depicts one of his very best! 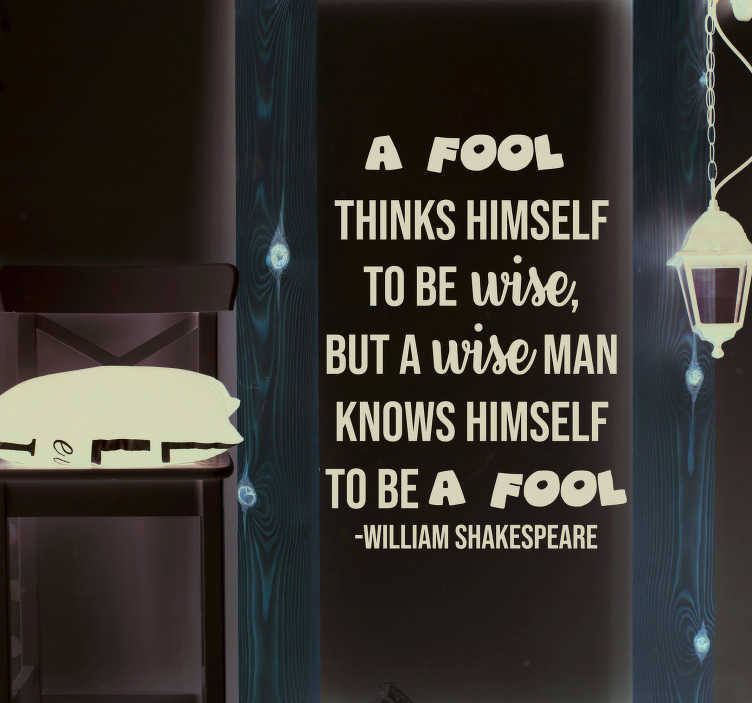 ´A fool thinks himself to be wise, but a wise man knows himself to be a fool´. This is such a salient and important quote regarding the importance of being wise and humble regarding ones own intelligence! Ideal text decor for those who wish to promote modesty!